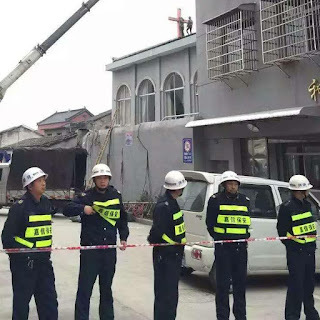 (Xinxiang, Henan—March 3, 2019) Henan police beat Christians as they gathered at the entrance of their church on Sunday to prevent officials from removing their cross. 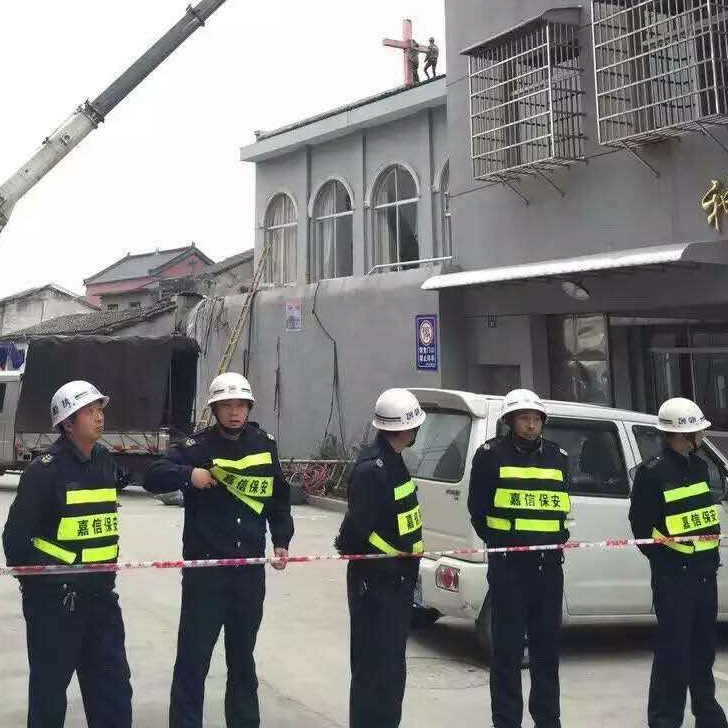 According to a video clip from the scene, many plainclothes police officers and demolition crewmen congregated outside of a church in Xinxiang, Henan, on the morning of Feb. 24. Christians located inside the church started singing hymns and praying when they saw this, and around 10 of them came to the gate to block the two large crane meant to be used to remove the church’s cross from entering. Multiple police officers then entered through a side door and yelled at the Christians. Government officials forced the lock on the gate open and allowed the cranes to enter after they had cleared the site. As the cross was removed, police used shields to keep Christians from entering the premises, and many of those who blocked the gate were taken away. Additionally, the authorities brought a flagpole in order to display China’s national flag, a commonplace tactic in China’s attempt to align churches to the agenda of the Communist Party. The mass removal of crosses began in Henan in the middle of last year, and so far, more than 4,000 crosses have been forcibly removed, and it is becoming rare to see crosses in most regions of the province. Even the crosses of the government-run churches have been removed, and smaller churches were shut down, their property destroyed, and their possessions confiscated. He was accused of disrupting public service.